North America’s largest work truck event, The Work Truck Show, is coming March 6-8 to Indianapolis. The Indiana Convention Center in Indianapolis hosts the show, which is sponsored by NTEA and the Association for the Work Truck Industry and functions as a one-stop marketplace for vocational trucks, equipment and training. 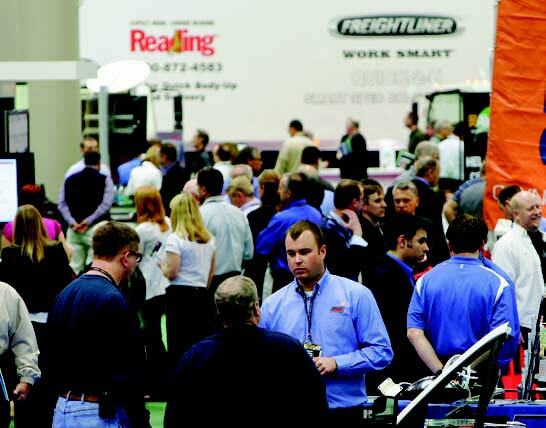 The Work Truck Show 2013 occupies more than 50,000 square feet of exhibit space. Attendees will be able to see the latest product and technology developments from more than 550 exhibitors, including dozens of new vocational trucks, equipment, accessories and technology innovations that will be launched. Educational programming begins March 5 and will be comprised of more than 60 business-building, educational sessions and dozens of new product launches. The popular Fleet Management Symposium, which focuses on the best practices for improving fleet operations, productivity, and financial performance, will take place from 9 a.m. to 4 p.m. March 5 and from 9 a.m to noon March 6. Comedian Jeff Foxworthy will serve as the keynote entertainer during this year’s president’s breakfast and NTEA annual meeting, which are slated from 7:30 a.m. to 9:15 a.m. March 7. In his address, he will share his humor and experiences from a diverse and successful 27-year career in the entertainment industry. The Green Truck Summit, presenting the future of clean commercial vehicles, precedes and overlaps The Work Truck Show March 5-6. This year’s Green Truck Summit features two high-level keynote speakers: a leader in the vocational truck industry and a renewable energy innovator. The Green Truck Summit is presented by International Truck and is produced jointly by NTEA and CALSTART. A talk from Lee J. Styslinger III, chairman and chief executive officer of Altec Inc., kicks off the summit. Working with OEMs, Altec is developing the next generation of hybrid-electric, all-electric and range-extended electric work trucks. The company also deploys vehicles that operate on compressed natural gas. In April, Altec opened a new green-focused assembly plant in California. The facility was built using state-of-the-art, sustainable construction and is currently used to produce the company’s Green Fleet line of equipment. The March 6 keynote will be delivered by Michael Pacheco, associate laboratory director for deployment and market transformation at the U.S. Department of Energy’s National Renewable Energy Laboratory. Pacheco will share his insights into clean energy deployment with Green Truck Summit attendees. Pacheco is in charge of NREL’s clean energy deployment programs, including those that affect commercial vehicles and efficient fleet operation. The focus of his organization is on transforming the market to achieve widespread adoption of more efficient and renewable technology, including alternative fuels and advanced vehicles. The Green Truck Summit offers real-world information on the deployment and application of sustainable technologies for commercial trucks. Over its day-and-a-half run, the event features 24 breakout educational sessions and five general sessions. To register for the Green Truck Summit, visit www.ntea.com or call (800) 441-6832. Green Truck Summit registration includes admission to The Work Truck Show, which features the newest Class 1-8 chassis, bodies and equipment components from some 500 exhibitors. Produced annually by the NTEA, the event brings together thousands of work truck professionals, including fleet managers, equipment buyers, maintenance personnel, manufacturers, distributors and dealers. Connect with the NTEA on Facebook at www.facebook.com/NTEA.TheAssociationForTheWorkTruckIndustry, and join the Work Truck Show and Green Truck Summit conversation on Twitter with the hashtags #wts2013 and #gts2013. www.ntea.com/greentrucksummit/schedule. A full list of sponsors is available at www.ntea.com/greentrucksummit/sponsors. 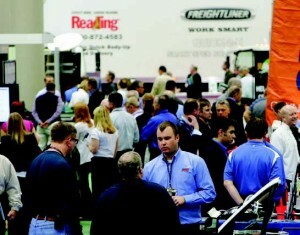 For more information about the truck show or the summit, visit www.ntea.com/worktruckshow.